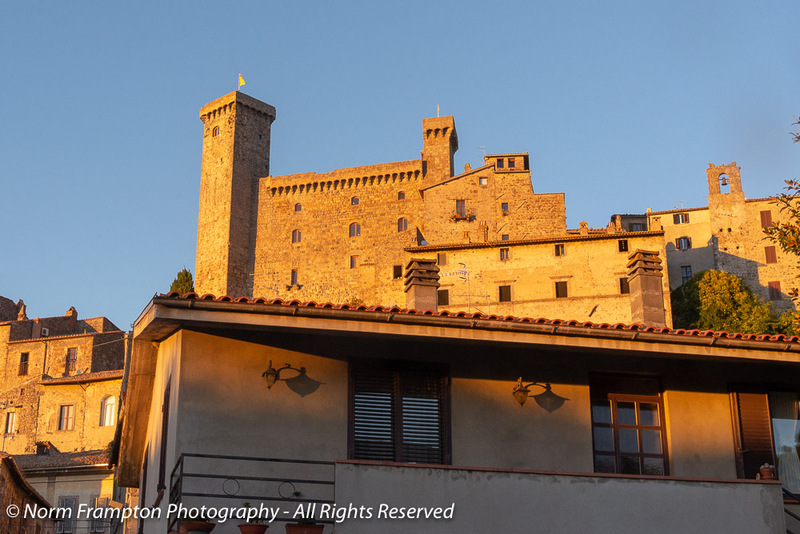 Picking up where we left off last week in Bolsena here are some more beauties that are pretty typical for small towns throughout the Italian countryside. Access Door to a Valve or Meter, Perhaps? No door in this shot, but how about some more of that gorgeous golden-hour light? 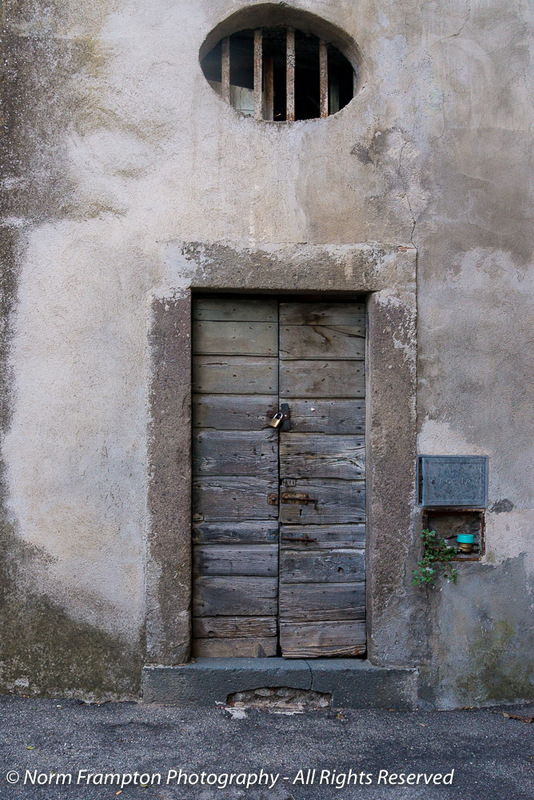 One of my favourite quintessential shots in a small Italian village: old stone buildings, hanging laundry, and a long narrow set of worn stone steps that lead up to a lovely door. 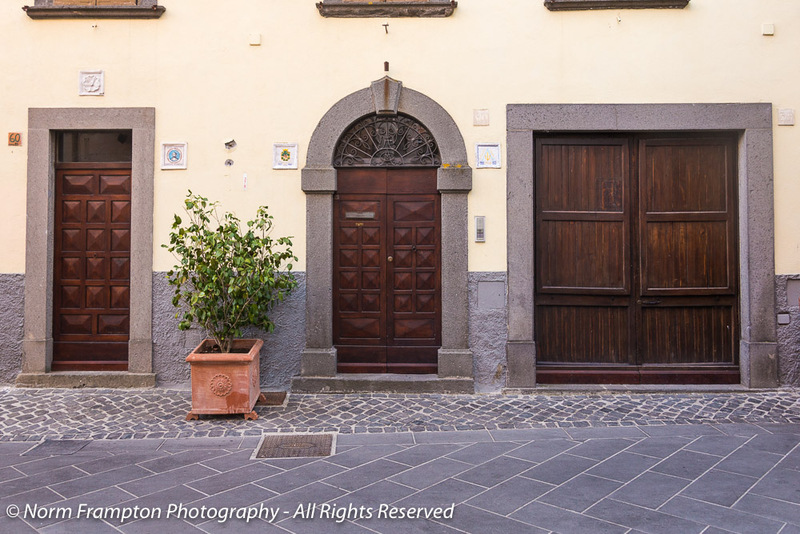 Gallery | This entry was posted in Photography, Thursday Doors and tagged Bolsena, Doorgasm, Doors, Italia, Italy, Lazio, Thursday Doors. Bookmark the permalink. Great doors Norm. Had to laugh at ghost door 🙂 That last photo of the narrow lane is beautiful. Amazing collection here, Norm! But that shot of unusual planter is extraordinary. I love it! Your photos make Italy climb higher and higher on my bucket list! I love golden hour light. The narrow stairway has so much character. I love it. Don’t know if I’d want to climb it every day, but it does have a romantic notion to it. 🙂 You seem to be great at finding “ghost doors”. I need to start looking harder for some of those! Thanks Amy. 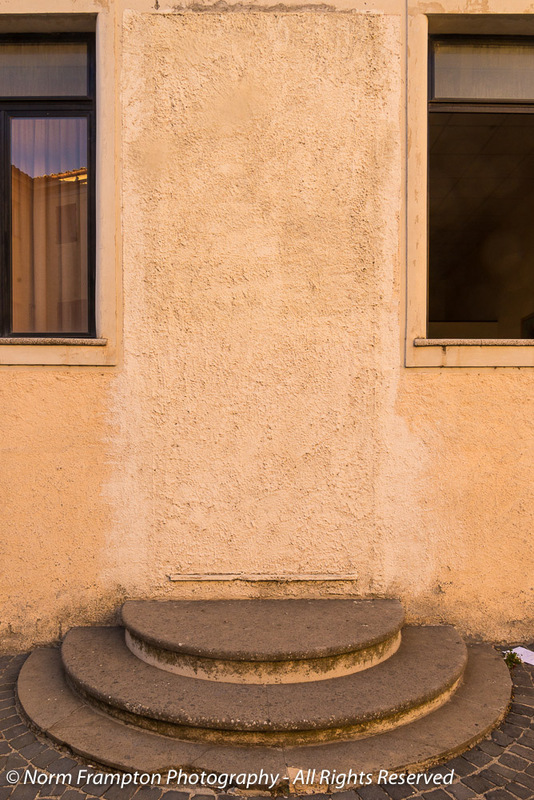 It turns out that once I started noticing them, ghost doors seem to be everywhere. Gorgeous, Norm! There’s nothing quite so beautiful as that golden light. 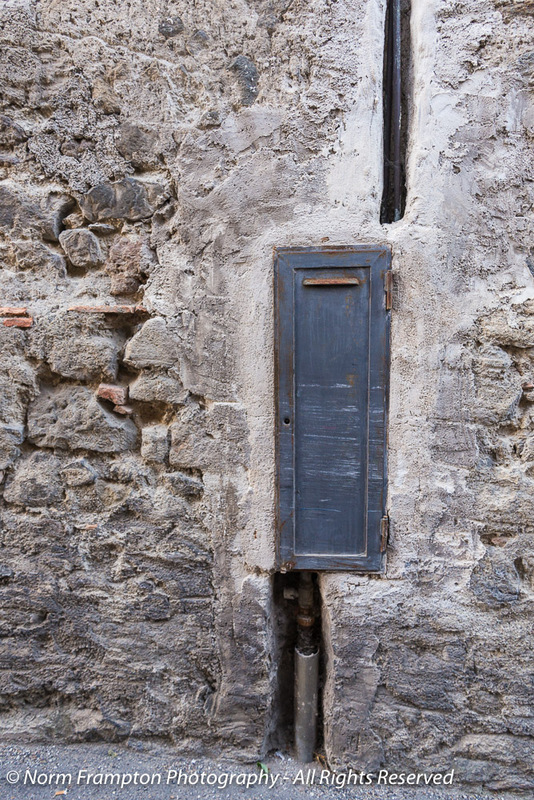 I love the doors and the added bits are amazing; the cobbled stone streets, the knocker, the planter, the hole beside the “Door to…?” door! My favorite shot is the one taken up the stairs to the door at the end. Thank you Brenda. That stair shot seems to be pretty popular. The steps get me every time. For the record, Weird Planter #357 is one of my favorites here. The odd little door over the pipe, too. These are just so charming. Like a lil vacation today. Thanks Joey. A nice set steps can always get me to stop. The fracture in the wall over the nut door looks like it is ready to give way! Fabulous collection Norm! That knocker looks Egyptian and that planter looks Greek. Love the doors and dislike that narrow steps. Now that you mention it I do see a Greek look to that planter. Wonderful. Love the last one, it reminds me that my door to a new page is a long way off. So many interesting details and wonderful doors! All the shots are great, but that last one, with the stone buildings, stone steps and that door at the very top is divine! The whole post is such a treat! I haven’t been active on Thursday Doors for at least a month and I see that I missed a lot and have to check your archives. 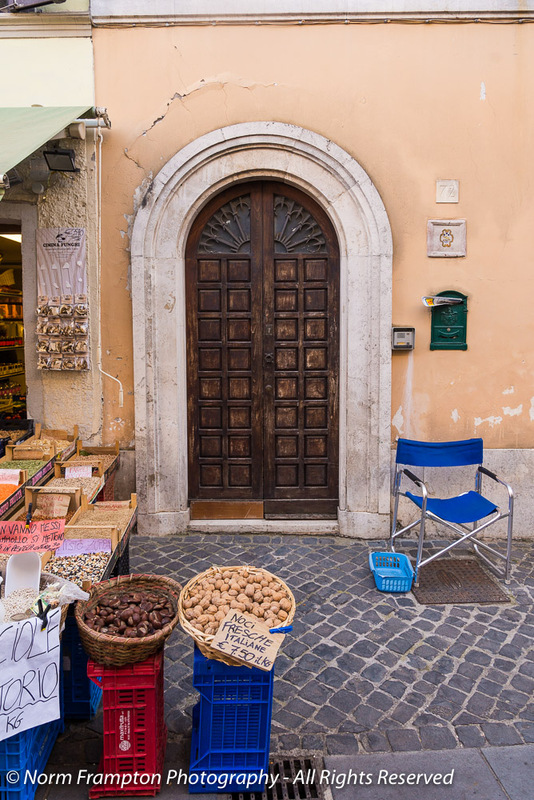 Just seeing your beautiful door finds makes me want to visit Italy again. Your trip with Manja must have been fun and exciting and it shows in your photos! Lovely doors and knockers. Here are my doors. For future reference there’s no need to put the link in the comments. As long as it’s on the link-up list others will be able to find it there. Cheers! Wonderful doors, and knocker, as usual. 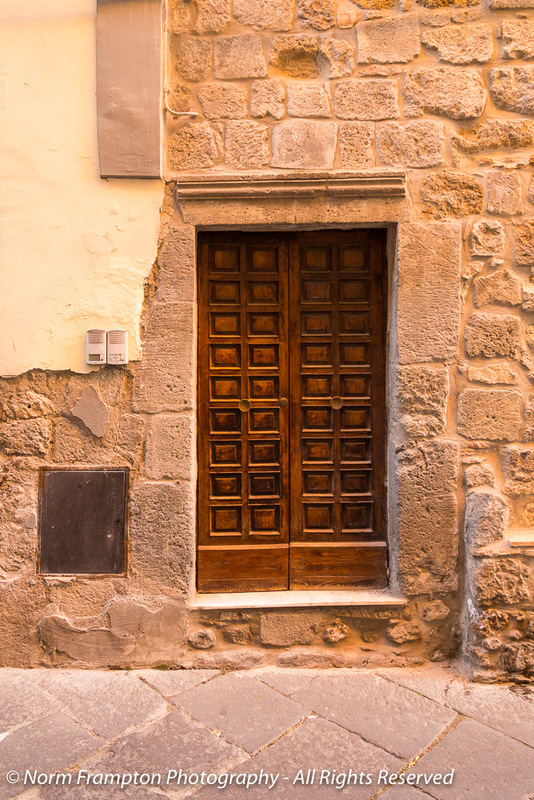 I am always amazed of the condition of the doors with the wear of the stone steps and yet they are still very sound. No but would doors like that be safe in US. Make me wonder. Lovely doors all! That last shot calls to me, though. I want to be right there, right now. I like Weird Planter #357. It’s unique. I like your doors, too. But that planter calls to me. Then you should have seen weird planter #356! 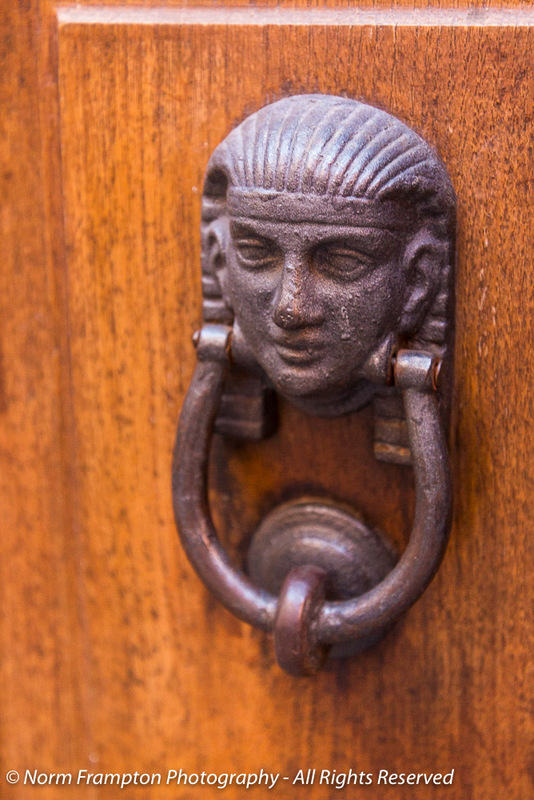 Oh, I really love that door knocker! What a great shot. Hope you’re staying warm. Ah yes, those ghost doors always leave me wondering why they were walled off. That last shot was priceless! Oh, and that LIGHT! That GOLDEN LIGHT! ~sigh~ That ghost door just might be the best ghost door ever. Some lovely quirky photos, Norm. 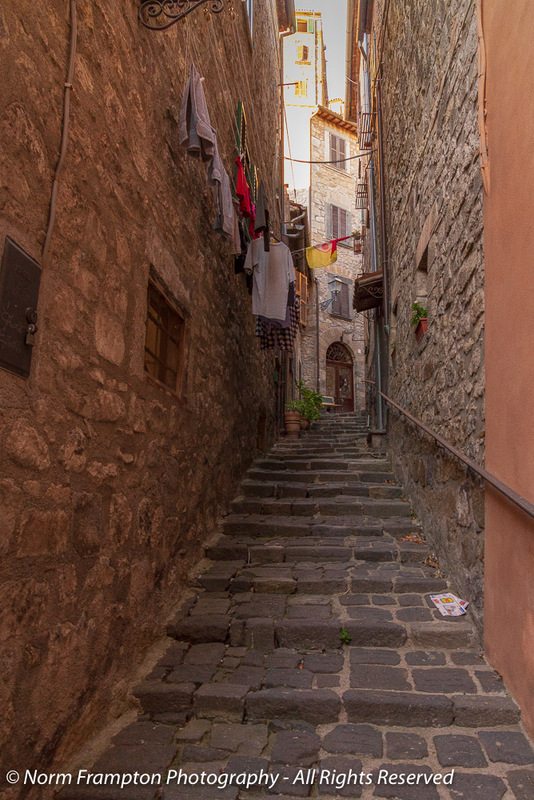 I love the curved steps with no door and the shirt hanging in the alleyway. Norm, you do the little details on the doors so well, have you considered a couple of Thursdays devoted to door knockers and hinges? I have a fascination with laundry hanging on lines when we travel. The golden light shots are gorgeous. Yeah, hanging laundry out in public is a very European thing I think. Lord knows most people in North America don’t even use backyard clotheslines anymore. Oh that green man! and also the gorgeous light. I love this set. Sorry to stray, but I LOVE that planter!!! Thanks Janet. Thinking of warmer sunny places is the only thing keeping me from freezing right about now. We’re finally into plus temperatures this morning, not by much, but I love seeing that negative sign disappear! Hang in there. Thanks TSMS. Mr. Green Planthead was only one of many “interesting” planters we saw there. 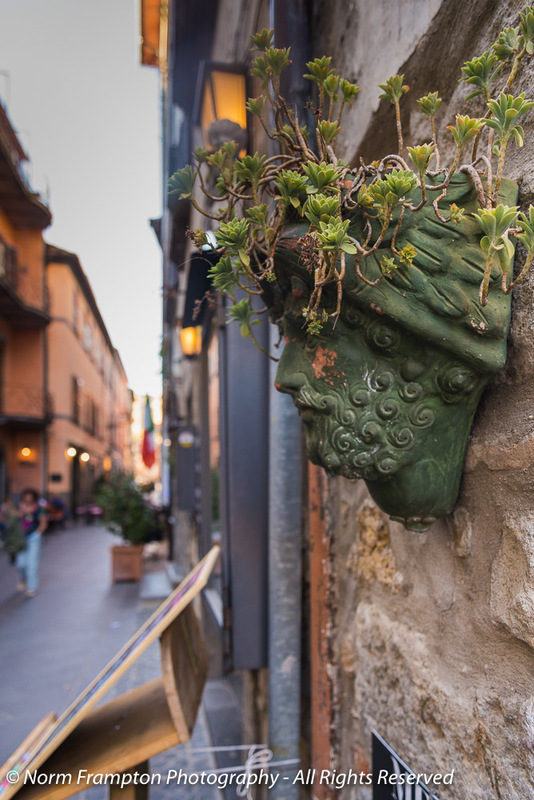 That planter may be weird – but I like it. Oh Colline, if I could jump on a plane and go back there tomorrow to escape this damn cold I would. It really has been rough this winter. Love these! The last shot is all about history. That place looks like a great place to just meander through and absorb. Once again, so much to enjoy here. 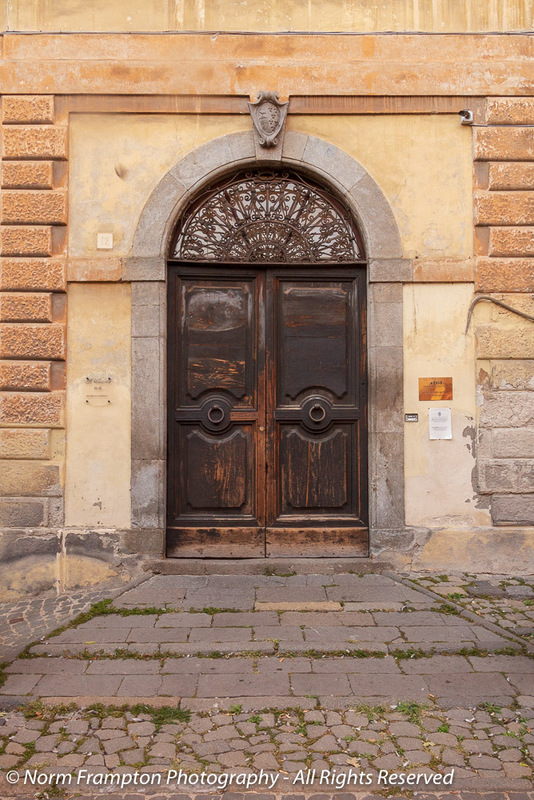 The door with the little oval window above it is particularly noteworthy. Oh yes, it’s great to see it all again through your lens. Even though I don’t remember seeing all these when we were there! I love so many of your shots, but especially the nuts door!! And the planter, and the light, and the access door, and the ghost door! Plus all the rest, actually. You can’t do wrong, particularly in Italy. I hope memories are keeping you warm. The fun thing about the nuts door was seeing the pic you took of me taking that pic – it came up when I was selecting which shots to use for the post. 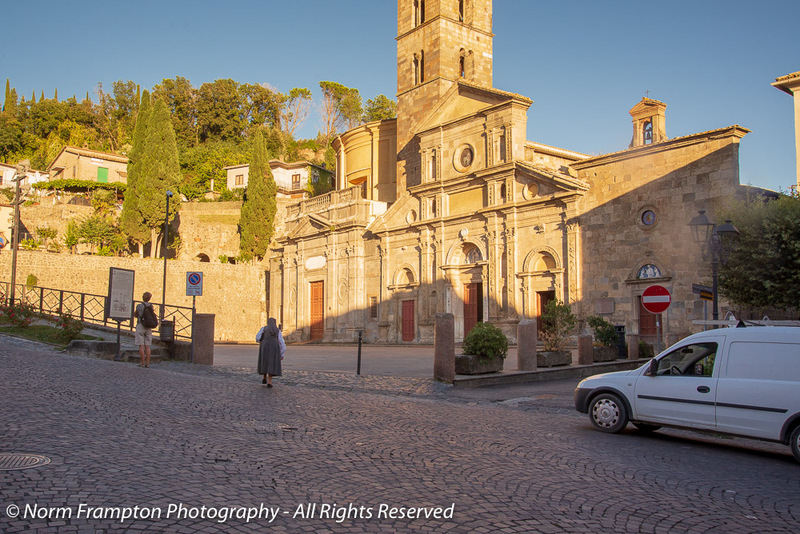 That last shot is quintessential Italy for me too 💕 … but also the photo of the “nun in a hurry”. The golden church seems to be part of the landscape and that’s so typical of Italian architecture.